The appetite for electric vehicles is anticipated to hit 100 per cent within the next ten years as their costs decrease to less than a quarter of petrol-fuelled cars, according to key industry players. ‘There will be a 100 per cent appetite for electric vehicles by 2020,’ said Better Place CFO Charles Stonehill while speaking at the Envirotech & Clean Energy Investor Summit on Thursday. Comparing electric vehicles to an Apple iphone, Stonehill said that people do not know what they are missing until they own an electric car, with Tesla’s Cristiano Carlutti calling buying an electric vehicle ‘an emotional choice’. At between 20 and 25 per cent of the cost of alternatives, appetite will rise as electric vehicles attain increasing ubiquity, the industry predicts. Stonehill said that lower electric vehicle forecasts are ‘rubbish’ as they fail to represent shifting market factors. He said that diminishing oil prices are a ‘huge factor’ in determining electric vehicle uptake, also anticipating that battery prices will drop. Lithium ion battery prices have stayed all but flat since 1998. The price of electric vehicles is expected to halve in the next decade, with Stonehill anticipating the cost of electric cars dropping to $6,000. The forecasted boom in the electric vehicle market may lead to a supply and demand imbalance if fulfilled. Another hurdle a burgeoning electric vehicle industry may need to overcome, which currently requires clarification, is whether a vehicle fuel tax would be applied to electric charging. Conventional vehicle fuel tax stands at around 50 per cent. 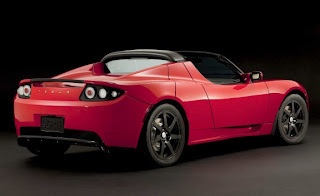 Tesla Motors’ vice president of European sales and operations, Cristiano Carlutti said he believes that hybrid vehicles are ‘intermediate’ and that they will be phased out as the range of electric vehicles is expanded. The electric vehicle charging process is also expected to shorten to take less than three minutes as charging networks are rolled out, according to Stonehill.